You are here: Home / News & Fairs / News / Julia Utensili is on the October issue of Carta&Cartiere! 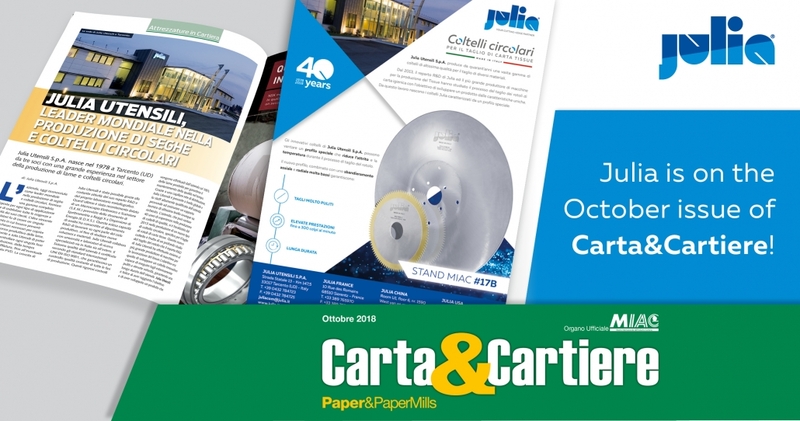 Julia Utensili is pleased to announce its presence on the October 2018 Issue of Carte&Cartiere – the Italian Magazine dedicated to the Paper Industry Sector. You can find us on page 147 with an AD and on pages 202/204 with an article on our circular knives and log saw blades for tissue paper.